#16: Blair Atholl Golf Club: Great Golf by the Garry! 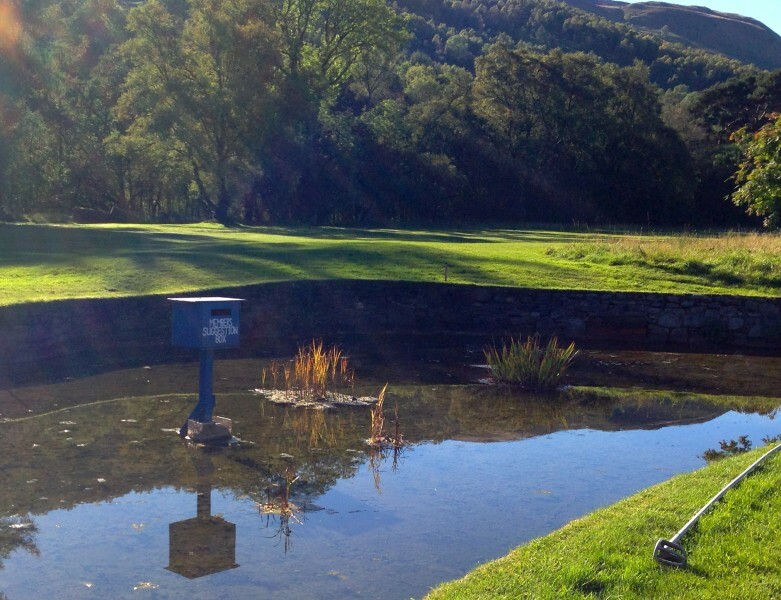 You are here: Home › Blog › #16: Blair Atholl Golf Club: Great Golf by the Garry! 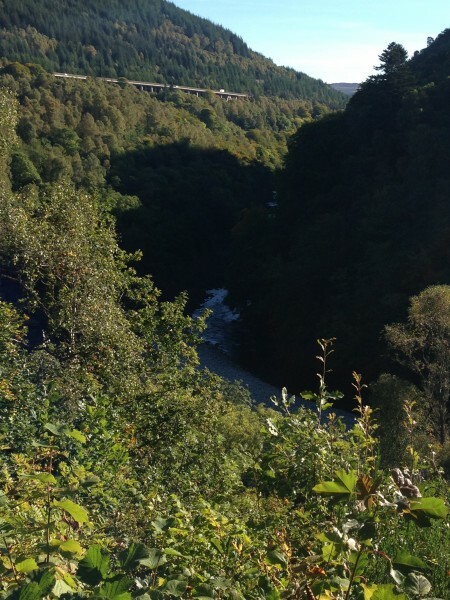 Blair Atholl Golf Club is nestled between the banks of the River Garry and the Inverness Rail line. 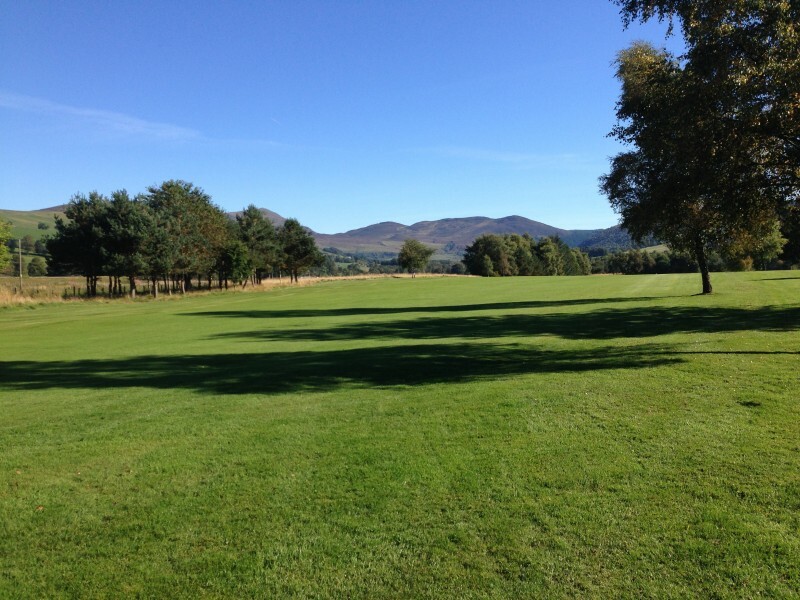 It’s a lovely course with spectacular views over the surrounding mountains, with its most impressive aspect being out towards Ben Vrackie. It was another stunning day, and after meeting a real ‘Atholl Highlander’ I thought I had best come up and see what Blair Atholl was all about. What an excellent way to utilise a water hazard! The last hole is framed by two tall trees, which I was duly told to ‘aim thru’ to the green. Naturally, though, try as I might to aim at the middle, I well and truly hit the tree on the left. Oops! So although I had a really good score going for the round, it was lost a bit in my final efforts. Another day, another round of ‘golfing in hope’ as they say at Haddington! Not too worry, I had missed seeing the Castle anyway, so I will have to go back! 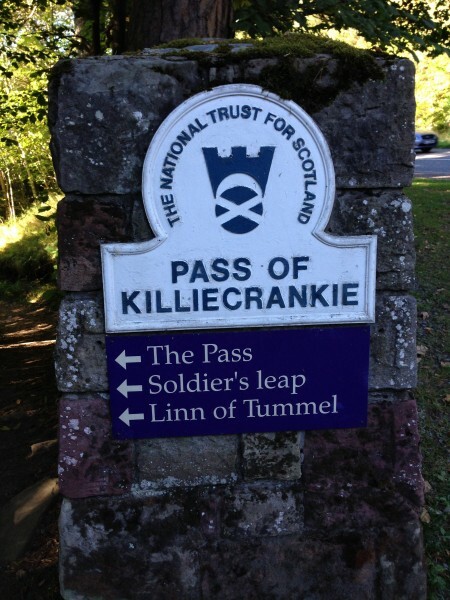 Instead, as I left I did stop and visit the site of the famous Battle of Killiecrankie. Here in 1689, under the command of John James Graham aka Bonnie Dundee, the Jacobite Highlanders routed the English troops of double their number. Tragically, Bonnie Dundee was killed on the battlefield which deflated the victory. But songs are still sung about the infamous battle. The loss of such an able General meant that the Jacobites were later defeated. Such was the fate of the first Jacobite uprising, and there is a National Trust for Scotland Visitor Centre there which tells the full story. 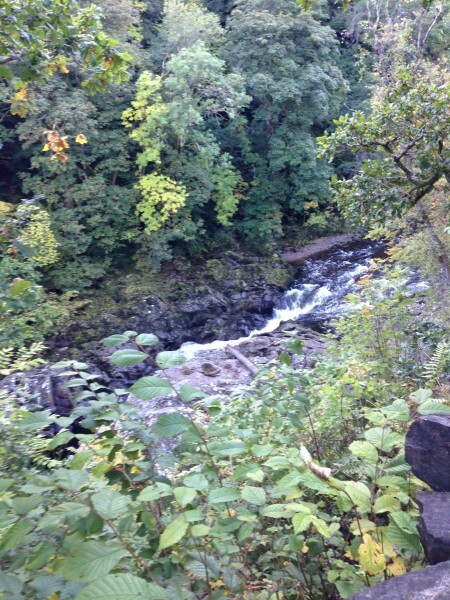 It was an amazing place, and here is a picture of the famous ‘Soldier’s Leap’ where the first English soldier leapt the banks of the River Garry to safety whilst others who followed were not so lucky and were drown. It is well worth a visit to this historic battle and beauty spot. 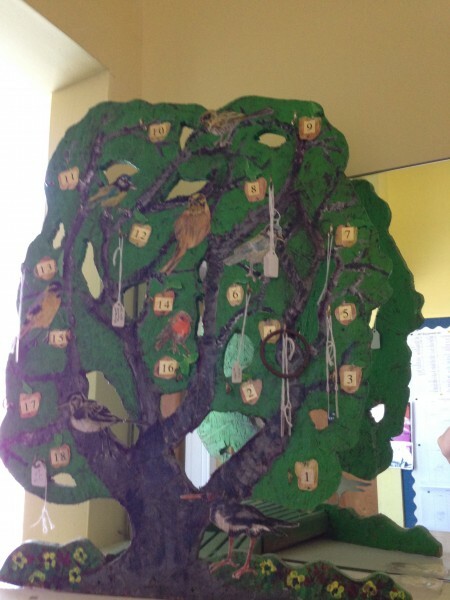 Again, I did not get to put a marker on it, I really need to ‘Par tree’ as I had plenty of them!